Wide entry steps, massage therapy seat, barrier free fitness area. Dual RX6™ standing massage columns. 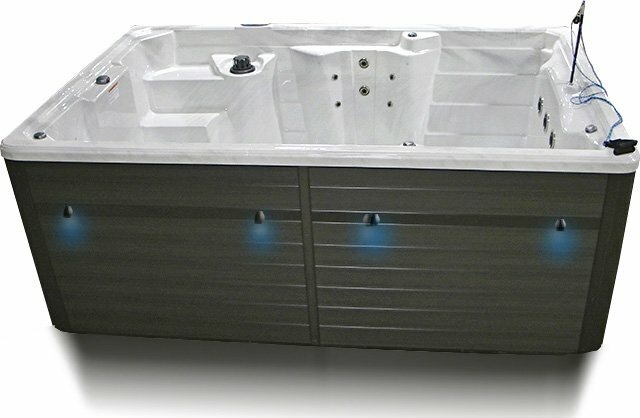 18 hydrotherapy stainless Reflections Jets™. Shoulder to lower back massage in sculpted seat. Shoulder, back and hips in stand-up RX6™ columns. Measuring a compact 12’ long, the SL12s fits easily on most decks, patios, sunrooms or garages. 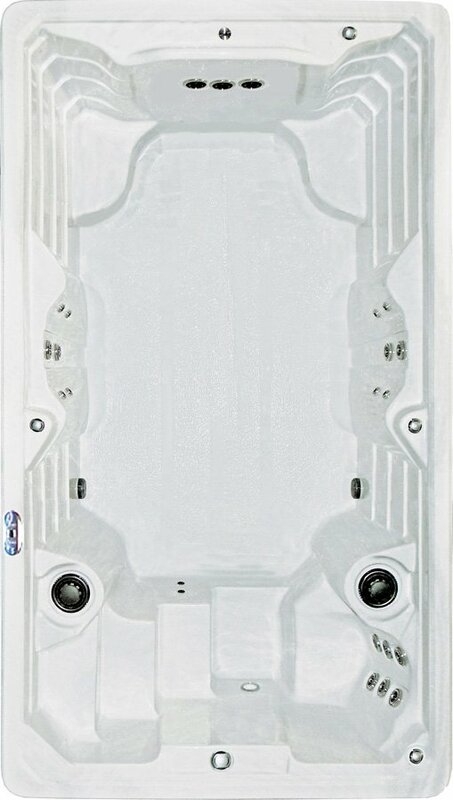 EverPure™ ozone, LED lighting and 6HP of water action match fitness and relaxation other fitness models.